Between fresh forests of Eastern Carpathian footsteps in Lviv Region of modern Ukraine, on 300 meters hill is located nice town Drohobych. It was founded in 1081 at the times of great antique powerful country Kievan Rus' on its western lands. The first written information about this town we have from 1238. After the first dividing of Poland in 1772 this Galician region became a part of Austro-Hungarian empire. 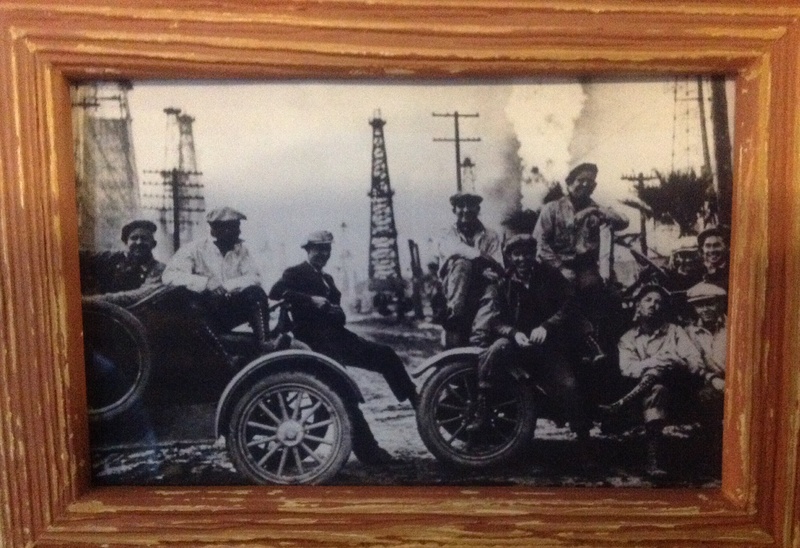 From the middle of 19th century this region was the biggest European center of oil production, "Galician California", as newspapers wrote. From 1918/20 was incorporated into the young new independent polish state. From 1939, accordance of secret pact of Ribbentrop Molotov between Soviet Union and nazi Germany, this Ukrainian lands were occupied by Soviet Union. This town is a center of Drohobych agglomeration nowadays. 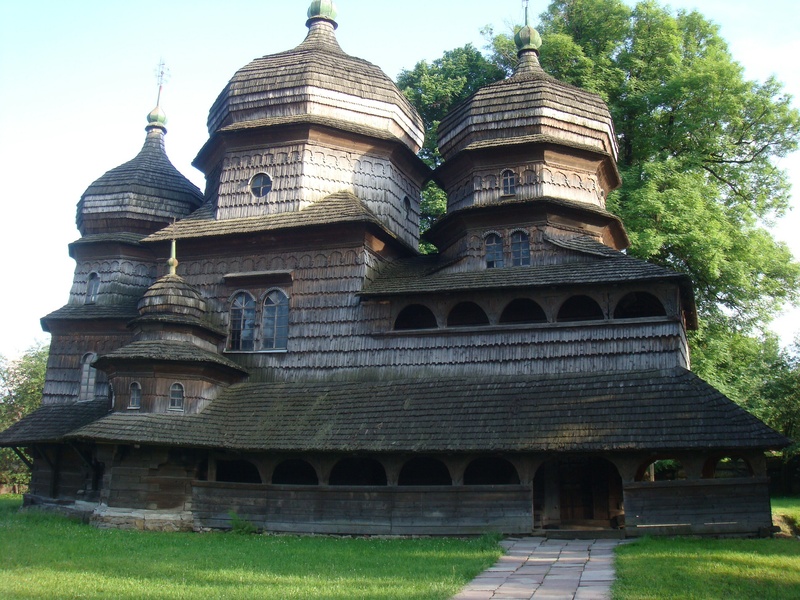 The most famous objects of Drohobych are: St. Bartholomew Catholic Cathedral (1392-1511); The Bell Tower of the cathedral (1551); St. George Wooden Church (16th cen) and Holy Cross Exaltation Church (16th cen) - both are in UNESCO list; Jewish Synagogue (19th cen); oldest active in Europe Saltworks (1250). Famous people, connected with Drohobych: Ivan Yakovych Franko, famous Ukrainian writer and poet was born in a small village Naguevychi not far from Drohobych; Yuriy (Georgius) Drohobizc de Russia (Donat, Kotermak), 1450-1494, medieval astrologist and astronomer, medicine doctor, philosopher and Rennesance humanist, in 1481–1482 rector of Bologna University, possible a teacher of Nicholas Kopernik; Bruno Schultz, 1892-1942, Jewish artist, graphic, writer and literary critic. 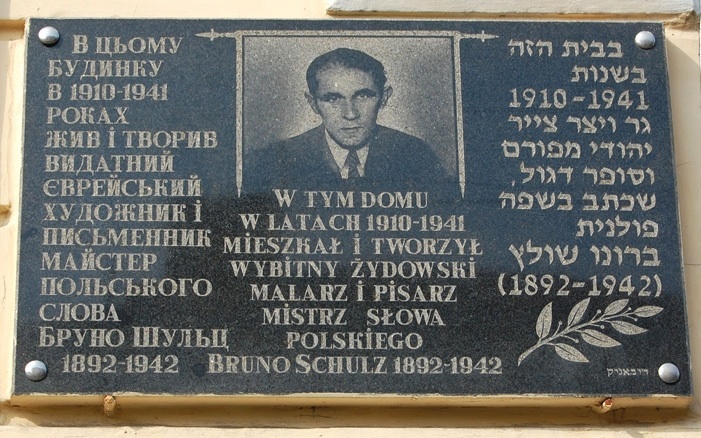 In USA was found a literary award for foreign writers, named after Bruno Schultz; one of founders and the first director of Israel Bank David Horowitz also was born in Drohobych.